Rangarajan, who has done his CA and worked in banking sector, cracked civil services exam and got posted in Assam to pursue his wish to serve the people. But later due to personal reasons, he quit it and came back to banking. He is the Associate Director of Officers' IAS Academy which has helped over 300 aspirants to crack the exam. He is a Makkal Needhi Maiam candidate and is contesting in South Chennai. 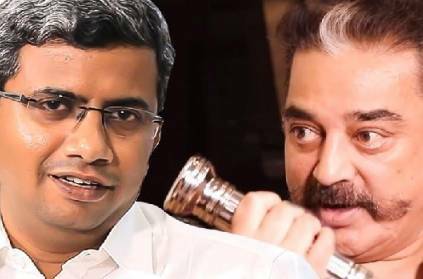 While giving an interview to Behindwoods Air, he said that Kamal is really serious about politics. He also said that if Kamal were to contest in the election, it would surely produce a wave but the whole on Tamil Nadu needs him; hence, we advised him to not contest in the election. When asked about whether Rajini and Kamal are rivals in politics, he said that Rajini has wished Kamal on various occasions and that they share a healthy relationship. For more details, you can watch the entire interview here. பிரச்சாரத்தில் ஈடுபடுவாரா விஜயகாந்த்? என்ன சொல்கிறார்கள் டாக்டர்கள்? This page contains news relating to various facts and events. The views are generally about current affiars and general topics in diversified areas such as political, international, national, and regional issues, sports, health, travel, lifestyle, technology and business. People having similar interets on the above topics will find this page useful. Rangarajan IAS interview to behindwoods air | Tamil Nadu News.